Completed in 1681, the 150 mile (240 km) Canal du Midi is considered one of the greatest engineering feats of the 17th-century. The Canal du Midi is a summit level canal, meaning that it passes over varying heights between valley’s and not in a lateral line, joins the Garonne that drains into the Atlantic Ocean to the Étang de Thou that leads to the Mediterranean Sea. The canal rises on the Western end 206 ft (62.8 m) and falls 620 ft (190 m) on the Eastern side by way of 103 locks, one tunnel, and 3 major aqueducts. No longer a trade route, today the canal is now a dream destination for boating vacationers from across the world that yearn for the fairytale beauty of stone buildings and medieval walled cities. As you casually float the canal you will see fields of towering bright yellow sunflowers scattered between rolling hills covered with grape vines, and sprawling stone manor homes with red terracotta shingle roofs displaying gothic, Roman, and Tuscan architectural influences. Watch this brief movie that takes you on a journey down the Canal du Midi and through locks (écluses in French), which allow passage both up and down the canal’s varying heights. a view showing the height difference between two locks. Notice the boat in the top lock. Read more about the Canal du Midi, including places to stop, packing suggestions and a cooking class in Trebes that is a must do. Thank you for watching this travel nugget video about the Canal du Midi. This video may contain an affiliate link or two, which does not affect you in any way, but will allow Empty Nestopia to continue to bring you travel tidbits. I have never heard of Canal du Midi, but I have got to say cruising through sure sounds exciting. A new and beautiful way to explore France. Thanks for sharing the history behind the Canal, it was an interesting read. You are welcome! Thank you for your comment. I hope you will get a chance to experience it in the future. I wasn’t to lose 2 years back and I regret so much that I did not enjoy the cruise. It was summer and I am sure this cruise was definitely operating, but I was in a rush to head to Carcassonne. So I completely missed it, but next time when I go to France I’m definitely going to enjoy this. Thank you for your comment. I hope you get a chance to experience the Canal du Midi on another trip to France. We really enjoyed it! It looks like an enchanting activity. I generally love to visit new places also by their rivers as you get a unique perspective on the city and I will make sure to add this when in France next time. That is so true! Please do add it to your France bucket list. It was very enjoyable! I hadn’t heard of the Canal du Midi before but it looks like a relaxing way to see more of France. It’s interesting to read about the history of the canal too. I might need to research more! Fabulous! If you have any planning questions feel free to send them my way! Thanks for commenting! What a relaxing time on the water to explore the city! Your photos of the city are gorgeous and make me want to visit! The Canal du Midi looks like a fun way to explore France. How long does the cruise take? Is it possible to do in a day trip? Will add this adventure to our travel list when we visit the area. 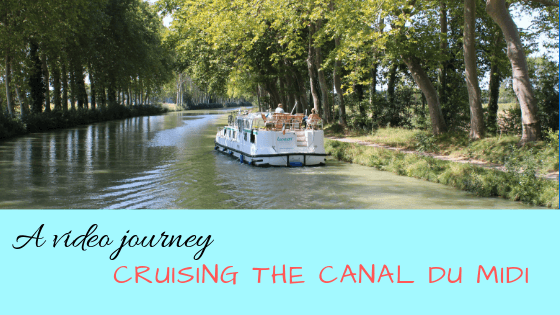 I cruised Canal du Midi a few years ago and I had so much fun! I think it was one of the greatest adventures I had! We just had to practice at the beginning as we never drove a boat before, but we learned quick! Thank you for bringing back those fun memories to me! You are so welcome! We had to practice going through the locks, as that was something we had not done before. 🙂 Like you, we got the hang of it quickly. Thanks for this piece of information about history and creation of the Canal. The picture of rural France looks lovely, is it a part of Canal du Midi too? I am glad you enjoyed the article and the history tidbits. Yes, the picture of rural France is also around the Canal du Midi. It was a relaxing trip. Love the history behind the canal and the scenery is breathtaking! Thank you for highlighting a lesser known excursion this is great for anyone traveling through France! You are so welcome! It was a fabulous way to see a whole different side of France outside of Paris. I always enjoy doing canal cruises in new places. The Canal du Midi looks like a nice one to cruise down! I enjoy cruises as well. I think they are a great way to explore several new places in a short amount of time. Then you know where you want to go back and what you want to explore further. Thank you for your comment!